You’ll have as much fun making these 5 yummy, wholesome snacks as your kiddos will eating them. 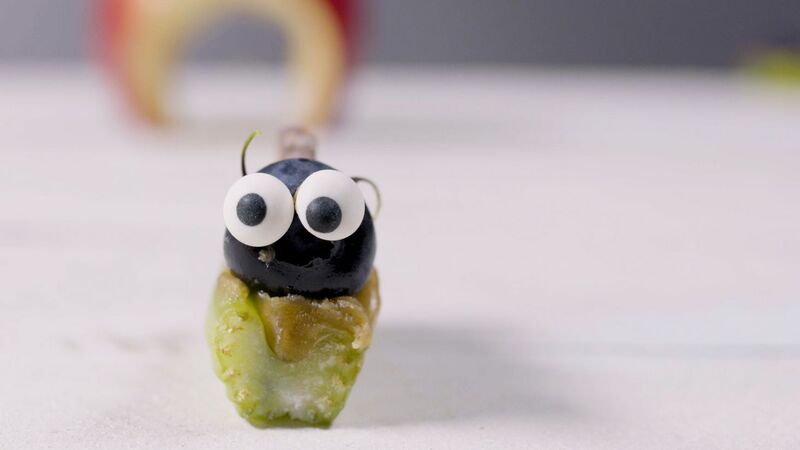 From fruit-topped celery critters, to banana split stix, pecan-crusted grape poppers, PB banana roll-ups, and the cheese bug (sneaky deliverer of veggies), these playful snacks are total healthy eating heroes. Move over, ants on a log! We have two wilder and way cuter celery snacks in line. Use fresh cut fruit and veggies (be creative!) to make adorable snails and caterpillars using celery stalks as a healthy base for your creations. These candy-coated treats are a fun snack for kids to help make. You don't need any fancy candy-making equipment or expertise to make these 3-ingredient fruit poppers. You could even try freezing them for a healthy alternative to ice cream! All you need is 5 ingredients for these easy, kid-friendly tortilla roll up snacks. Grilling them until they turn golden brown melts the peanut butter and softens the banana into a ooey, gooey treat that's great for after school snack attacks or a healthy breakfast to start the day. A healthy, portable version of the classic dessert everyone knows and loves. This recipe uses fresh fruit, chopped nuts, and melted chocolate to make an easily customizable sweet treat you can feel great about making and sharing with kids. Need a quick and healthy snack for kids? 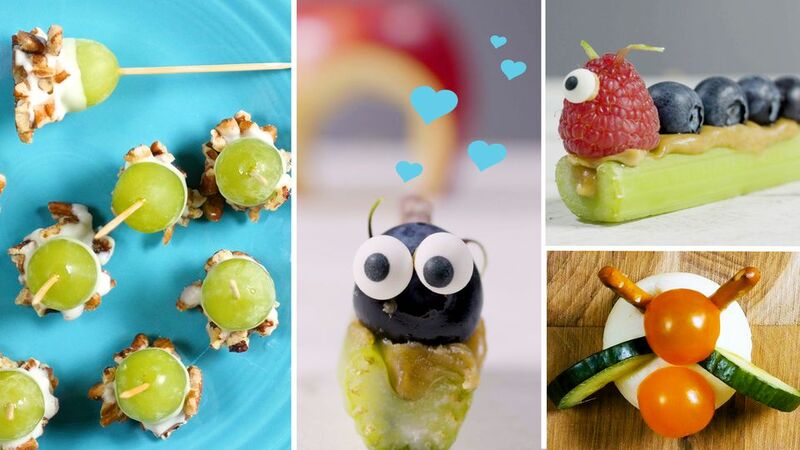 These adorable little bugs are super easy to make, using only four ingredients: mini cheese wheels as a base, cherry tomatoes for a body, cucumbers for wings, and mini pretzel rods for antennae.